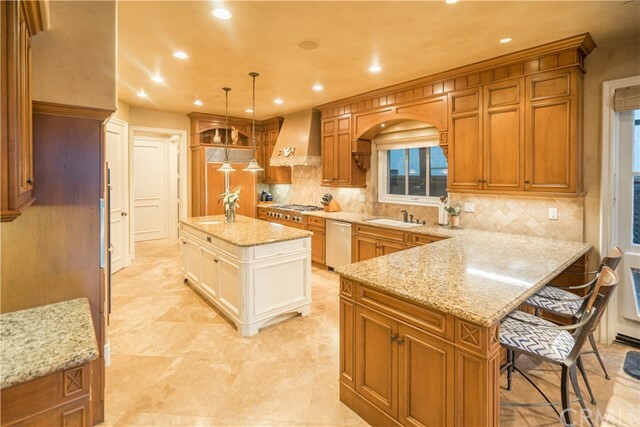 Main Channel Tuscan-style estate, built new in 2004, exudes luxury, quality and comfort. 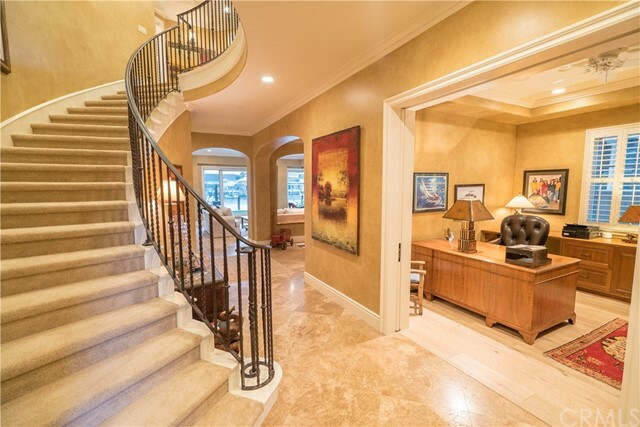 The beautifully executed architectural design is warm and grand at the same time. 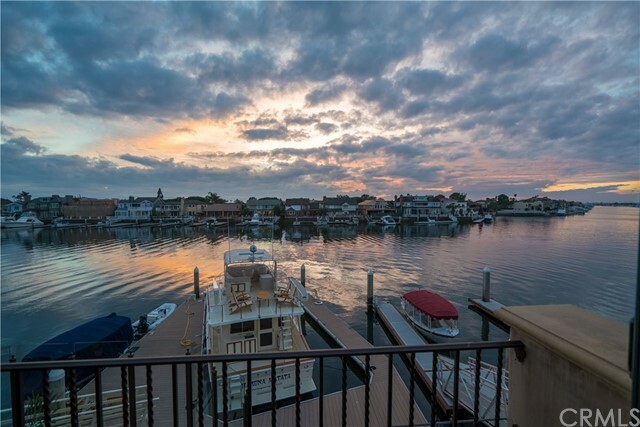 One of the most dramatic locations in Huntington Harbour w/views extending down multiple channels. 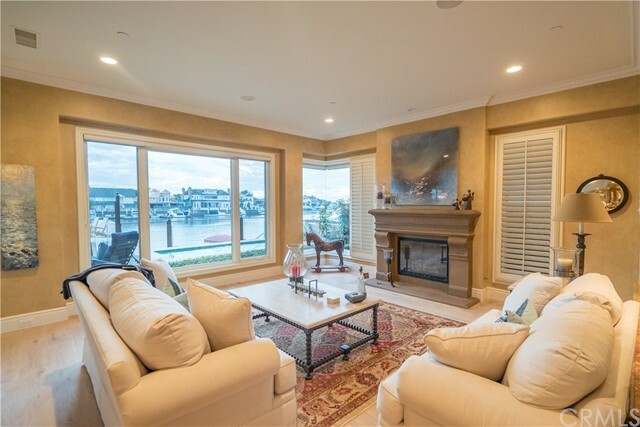 Floor to ceiling windows and glass-to-glass corner windows enable unobstructed views of the Harbour and sunsets. 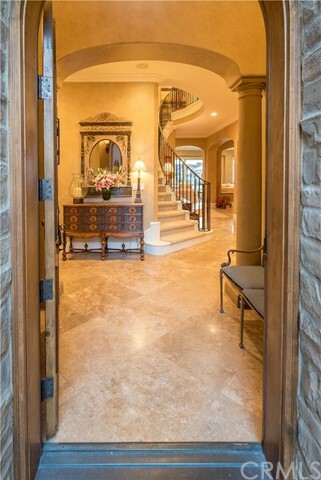 Enter through a beautifully designed custom iron gate, step through an arched doorway. 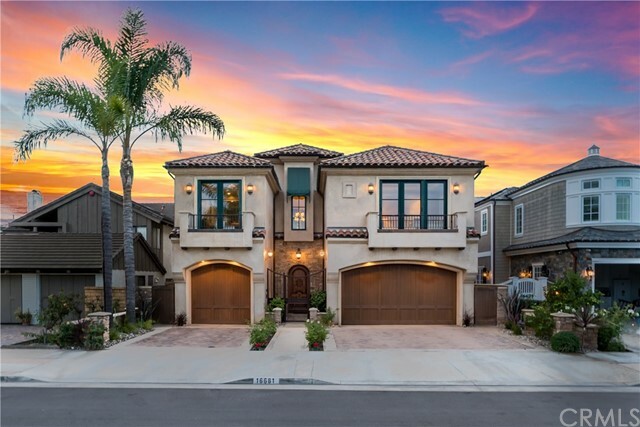 Admire the custom touches throughout the home: the faux-painted walls that are nearly 10 feet high, custom iron hand railing, the grand curved staircase and custom milled solid wood cabinetry throughout. 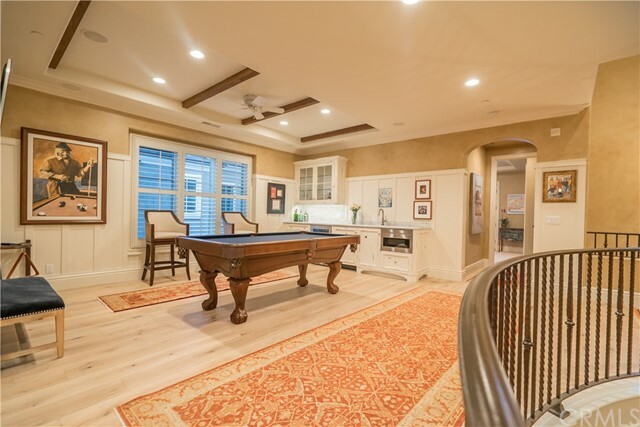 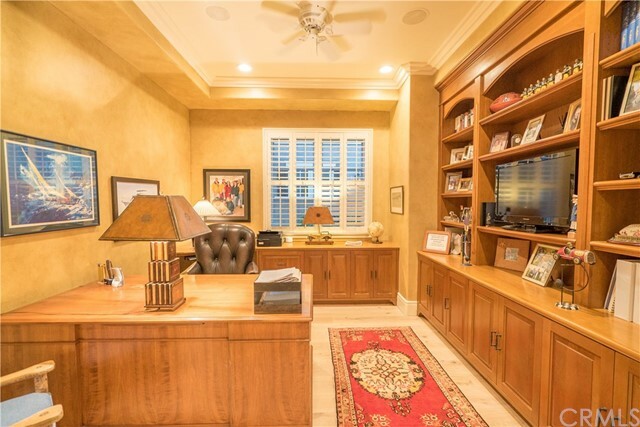 Wood beamed and coffered ceilings throughout.. 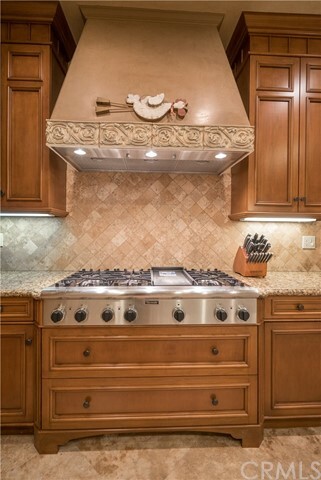 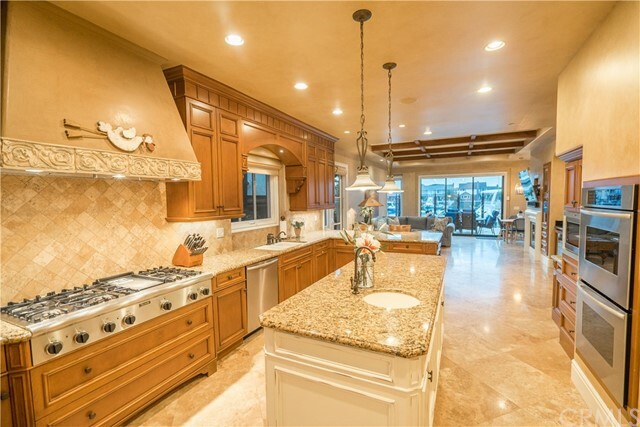 The massive gourmet kitchen feels like you are in Tuscany with a great island, travertine floors, granite counters, tumbled travertine backsplash, state of the art appliances and custom woodwork. 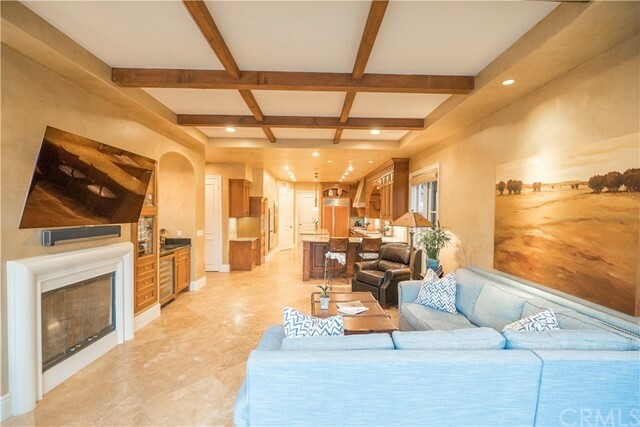 Connected to the family room by a breakfast bar, the views are incredible. 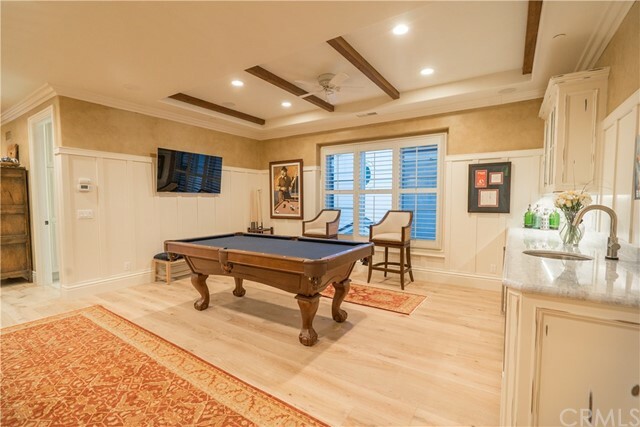 Four en-suite bedrooms, office, family room, dining room and game room make this home perfect for a large family. 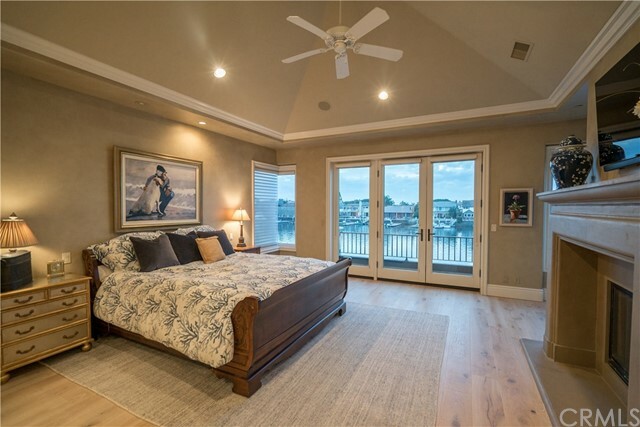 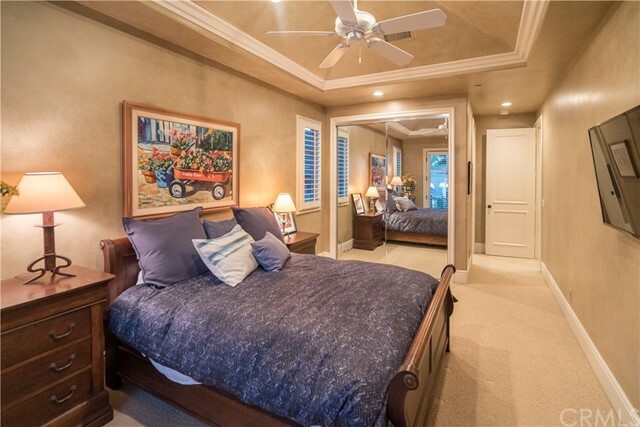 The master bedroom has incredible views and a fireplace. 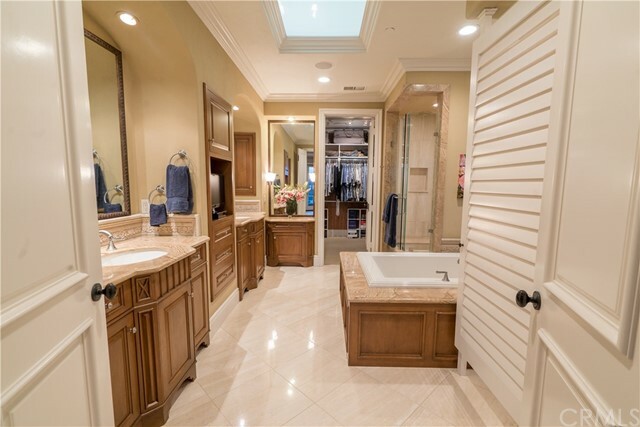 The master bathroom is luxurious with dual sinks, granite counter tops, a skylight, spa tub, walk-in shower and a massive walk-in closet. 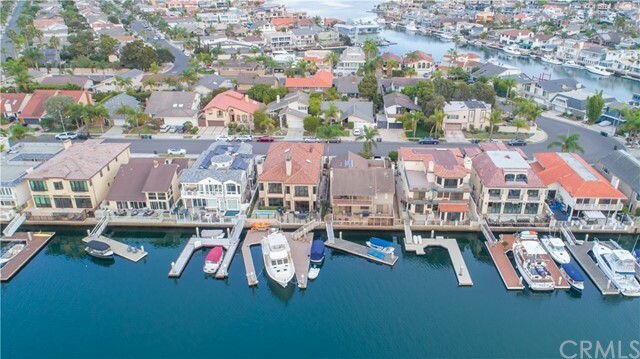 Custom extra-wide 50 foot private boat dock has room for several boats plus tables and chairs. 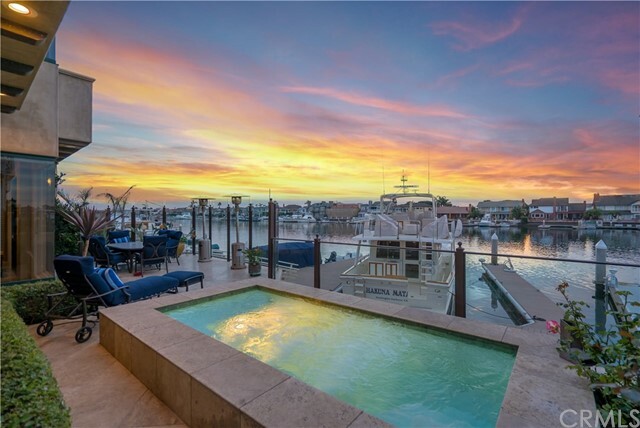 The massive spa on the huge patio overlooks Huntington Harbour.